This is one of those movies with solid actors, yet seemingly no hype. It didn’t have a memorable run in theaters, no one really talked about it. I’ve had it on Blu Ray for a couple of years, and just never watched it. But anything with Ed Norton and Colin Farrell deserves a run. I watched PRIDE AND GLORY (2008) on 11.23.14. It was my first viewing of the film. PRIDE AND GLORY is one of those gritty cop films with a couple of brutal scenes to prove just how gritty it is. That this movie has one of the most psychological traumatizing scenes featuring a cop threatening an infant. That may either be a badge of honor or a point of derision, depending on how you view a film like this. Objectively, it is a scene which works. That the guy doing it still manages to come off as less that a one thousand percent villain is impressive in the acting and in the filming. This movie tells the story of a family of cops. Dad (Jon Voight) has kept his head out of the mud. Sons Ray (Ed Norton) and Francis (Noah Emmerich) have had varying levels of success in doing so, but both are respected cops. Francis, in particular, is the commander of a successful unit. 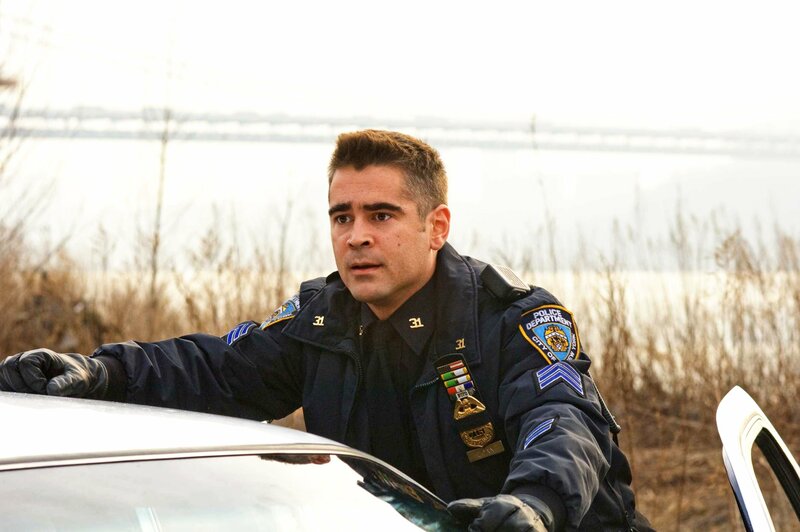 Their brother-in-law, Jimmy Egan (Colin Farrell) has no desire to stay out of the mud. He’s like a pig spinning in it and eating it. He loves it. The movie starts with the killing of four cops in Francis’ unit. Dad convinces Ray to come out from hiding (he’s been doing a desk job for a couple of years after an unknown incident) and join the task force investigating the crime. Little do either know that Francis has some issues in his precinct, or that Jimmy is the driving force behind those issues. The investigation becomes dangerous and personal. This is a movie, then, about honor within the force and within families. How far is too far when it comes to loyalty over right and wrong? PRIDE AND GLORY certainly doesn’t paint most NYPD officers in a good light. Ray comes across as the only noble voice, even if some of the others TRY to do the right thing. The world is presented as being so bad as to negate the possibility of good people surviving what cops need to do in order to survive. This movie is supremely well acted. This is an underrated role for both Norton and Farrell. Emmerich is solid in this, and Voight is doing more than just mailing it in (so this is not a TOMB RAIDER movie). Jennifer Ehle, as Francis’ wife, has a couple of scene stealing moments. Their characters, too, are more than caricatures. Norton’s cop has confidence issues. Farrell’s is a family man who thinks he is justified in what he does before slipping into a hole he can’t get out of. Emmerich is a good man too distracted by his wife’s terminal cancer to sustain the energy needed to be good. Voight’s father figure is an old fashioned cop who protects the badge out of habit. If the characters and acting are solid, the major issue with the script is that the plot isn’t anything special. The set up has been done before, the surprise twist in the middle can be seen coming, and the final act battle is absurdly contrived. There is a near riot started conveniently by two cops while, a couple blocks away, two of our leads share a confrontation bordering on silly in an empty Irish bar. Then these two scenarios, of course, meet in the middle in a geographic sense. It is all way too easy for a story which spent so long having layers and tangles. All that said, this deserves to be more than an anonymous cop flick. The performance, if you care for any of these actors, is worth the price of admission alone.